Real knowledge and education is not about storing masses of data in our brain; it means to have the wisdom to see every human being with equal vision. If we actually want to make the world a better place and give joy and fulfillment to our students, and empower them to give the same for the others we have to build the foundation of our education on human values. If we actually want to make the world a better place and give joy and fulfillment to our students and empower them to give the same for others, we have to build the foundation of our education on human values. 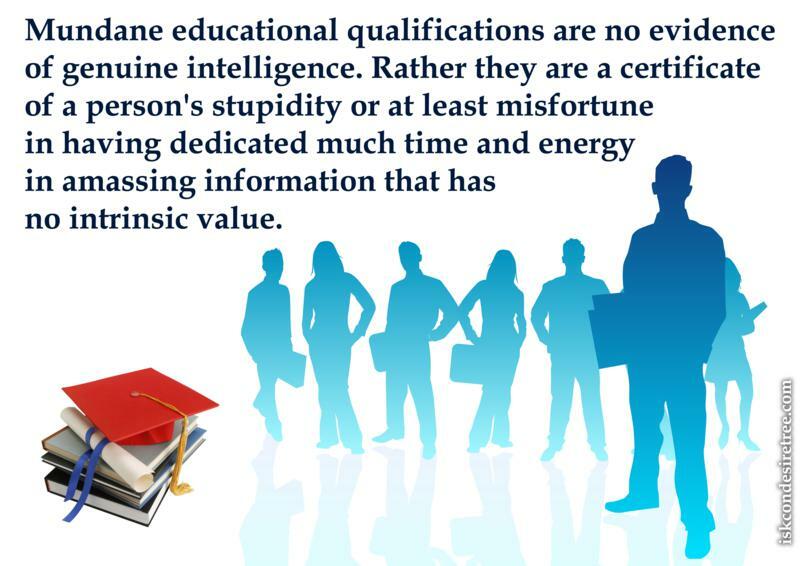 Mundane educational qualifications are no evidence of genuine intelligence. Rather they are a certificate of a person's stupidity or at least misfortune in having dedicated much time and energy in amassing information that has no intrinsic value. 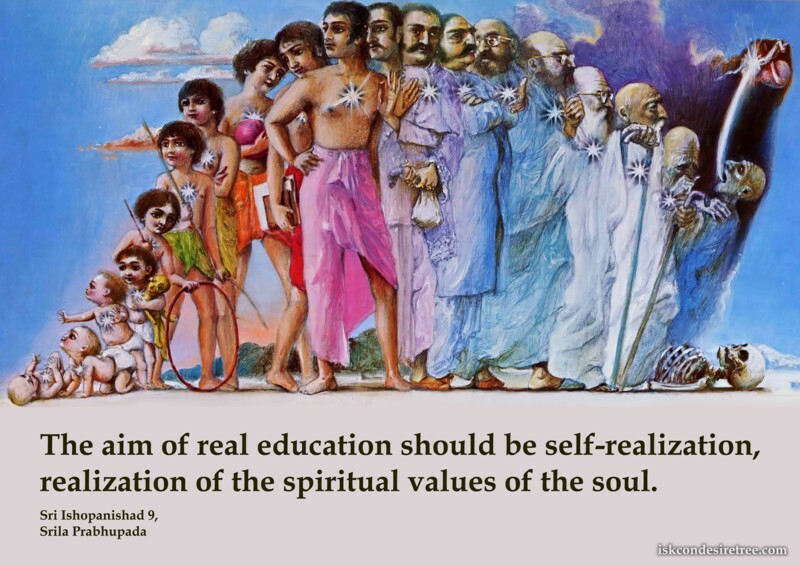 Traditional education is practically a thing of the past, something most of us have never even seen, what to speak of having lived or experienced such a life-style. We are generally totally ignorant of what itmay be or what it might have been. Whatever little we have heard about traditional education has often left us with negative impressions and reservations about it, as we were likely exposed to the so called short-comings and even “backwardness” of such an educational system.